Jennifer Egupov, is an Intuitive Healer, Spiritual Mentor/Advisor, Medium and Reiki Master/Teacher. She is also certified in AromaTouch Therapy and is an Ordained Spiritual Minister that openly and lovingly adapts to all spiritual beliefs. Jennifer has extensive knowledge through various studies and programs on the practice of Mindfulness, Meditation and Ayurvedic modalities. She works on an outreach basis, offering her services at client's homes, businesses and schools as well as attending vendor events, organizing wellness retreats and working in partnership with other practitioners to hold special classes and workshops. 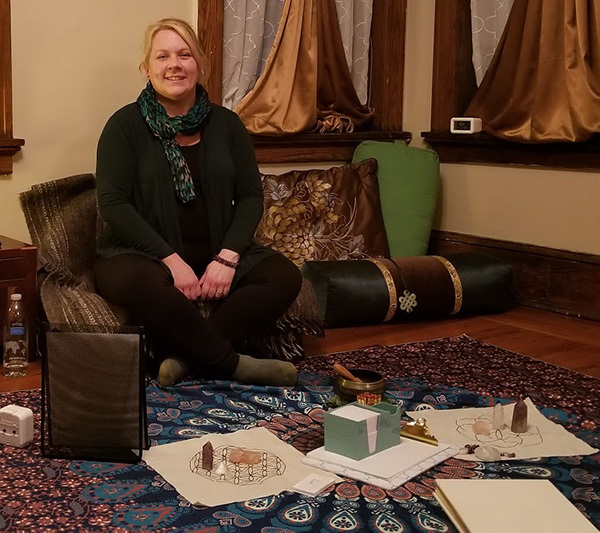 With a true passion for holistic healing she integrates oracle card readings, crystal healing, the use of essential oils and other methods to give each client a truly unique, supportive and individualized session.